What an annoying book! How did it become a New York Times best-seller??? In the words of H.L. Mencken, “no one ever went broke underestimating the intelligence of the American people,” so maybe that’s the explanation. 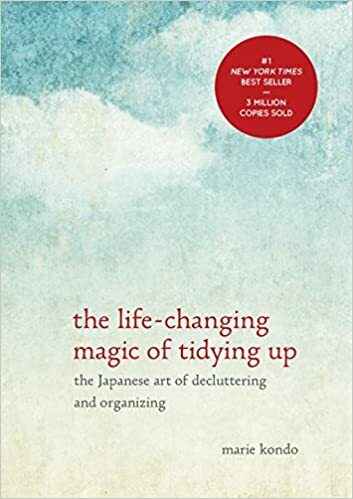 In The Life-Changing Magic of Tidying Up, Marie Kondo tells us over and over again how to get rid of clutter in our living spaces. Then she tells us again. Did I mention that the book is repetitive? I think I did. It could have easily been 24 pages instead of 224 without losing any real content. But then, of course, it wouldn’t have been a book. Did I say 24 pages? How about 4 pages? That would surely have been enough. Or maybe 1 page? Repetitiveness, however, isn’t the only flaw of this book. It isn’t even the main flaw. I don’t know much about Japanese culture, but perhaps my complaints really stem from Japanese culture. Although the author apparently wrote the book in English — as there’s no indication of a translator — a Japanese sensibility permeates it. This is seen in Kondo’s frequent references to Shintoism, including her mention that she worked as a Shinto shrine maiden for five years. That might be why she talks to objects. I’m accustomed to talking to cats, but sweaters? Doors? Anyhow, the main flaw of the book is that the author clearly suffers from OCD and is proud of it. I shouldn’t say “suffers from,” as she revels in it. If you want to take advice from someone with OCD, perhaps this is your book. But you had better fit into the author’s vision of OCD, as she definitely has a “one size fits all” approach, cutely called The Konmari Method (check out her name). Woe to you if it doesn’t suit you, as Kondo doesn’t allow for exceptions. Her method works for everyone and has never failed (according to her). There are also a lot of annoying details. One is that Kondo uses “tidy” as a verb over and over again. Yes, I know that “tidy” can be used as a verb in English, and I know that the author is not a native speaker of English, but it’s still grating to hear it used page after page. What’s wrong with “organize” or “clean up” or some other familiar locution? Lastly, the author actually advocates ripping pages out of books. Yikes! ‹ Why crypto in high school?